Did you know that foods that are naturally purple (like blueberries or acai berries) are exceptionally high in antioxidants are therefore are super good for you? It’s true. Back in 2010 when I first began my weight loss journey, before I discovered juicing, I would have a purple smoothie every morning with a slice of cinnamon raisin Ezekiel bread. It is such a good breakfast. In fact I may just have to start doing it again. Blend all of the ingredients below in a magic bullet or whatever blender system you have. I specify the Sambazon variety of acai berry juice because this is the brand they carry at Costco – it’s 2 bottles for $10, whereas one bottle will run you around $7 at Whole Foods. I also get all my frozen berries at Costco. Usually I buy one of their huge bags of frozen strawberries and either frozen blackberries or whatever berry blend they have available. It lasts for weeks and is such a good bang for your buck. As far as bananas go, the more ripe the better. If you like your smoothies extra thick and cold you can freeze the bananas once they’re ripe and add them to your smoothie that way. 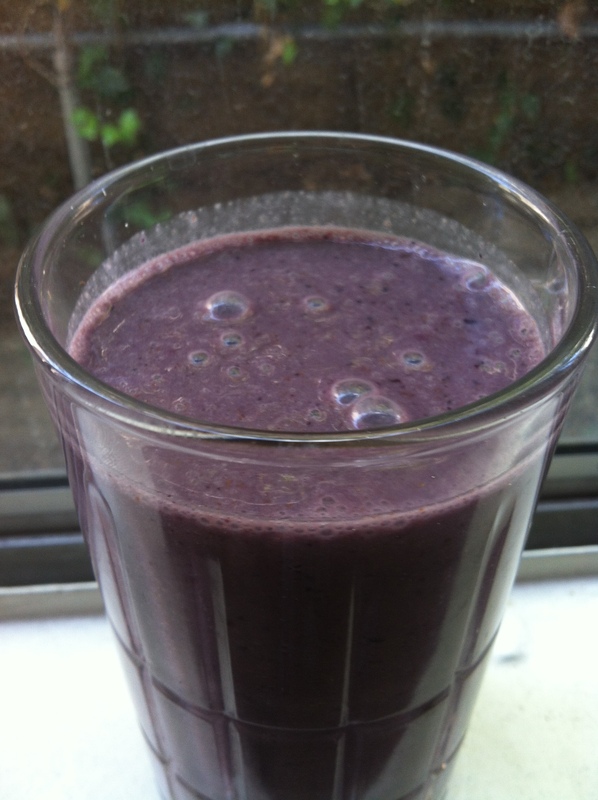 At the end of the day, it’s your smoothie, so put in whatever you like – I’d love to hear your variations! Now I am not an advocate of protein powders and the like because at the end of the day they are super processed products that your body will have trouble digesting. However, if you must, this smoothie will be a perfect vehicle for that or any kind of powdered or liquid supplement you take. Dave Volpe is a Los Angeles-based cook, baker, and music maker. Enter your email to be notified of new posts - who wouldn't want me in their inbox?